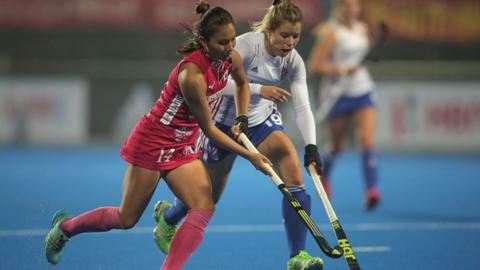 Tessa Howard's first international goal was not enough to give Great Britain victory as Japan recovered from 2-0 down to draw 2-2 at the FIH Champions Trophy in China. Strikes from Howard and Sophie Bray and put GB into a 2-0 first-quarter lead. But a brace from Hazuki Nagai, who scored before half-time and in the third quarter, meant the game ended as a tie. "We've still got some aspects to work on," said head coach David Ralph. Having already drawn with hosts China and lost to Australia, the draw against Japan means GB are without a win from their opening three games of the Champions Trophy. Ralph's side play the Netherlands next at 10:00 GMT on Thursday.